Dr. Donald Ames is a member of the Dayton Orthopedic Society as well as the Ohio Orthopedic Society, and is an active fellow of the American Academy of Orthopedic Surgeons. He is an assistant clinical professor of orthopedic surgery at Wright State University, School of Medicine and a team physician for the Dayton Dragons. Dr. Ames is on the staff at Kettering Medical Center, where he was the Chief of Orthopedics from 1993 to 2008. 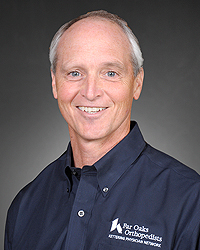 Dr. Ames specializes in orthopedic surgery with a special interest in joint replacement.